This quote by Thomas Edison perfectly sums up the essence of growth hacking. Relentlessly focusing on achieving rapid and sustainable growth, this advanced marketing concept experiments with all kinds of marketing strategies and analyzes them in order to acquire new customers and retain the existing ones. What do PayPal, YouTube, LinkedIn, AirBnB, Uber, Spotify, and Netflix have in common? Yes, all of them are obviously multi-billion dollar businesses, but there’s something else that connects them and that’s one of the key ingredients of their whirlwind success – growth hacking. While many business owners still consider this unconventional and creative marketing method as some kind of wizardry, some of its strategies are downright simple and can be used even by companies with limited budgets. First things first. Before you start pouring your time and resources into growth hacking, you need to have a solid foundation, that is, a product that is a minimum viable product that you can tweak and fine-tune based on the feedback you get from your target audience. 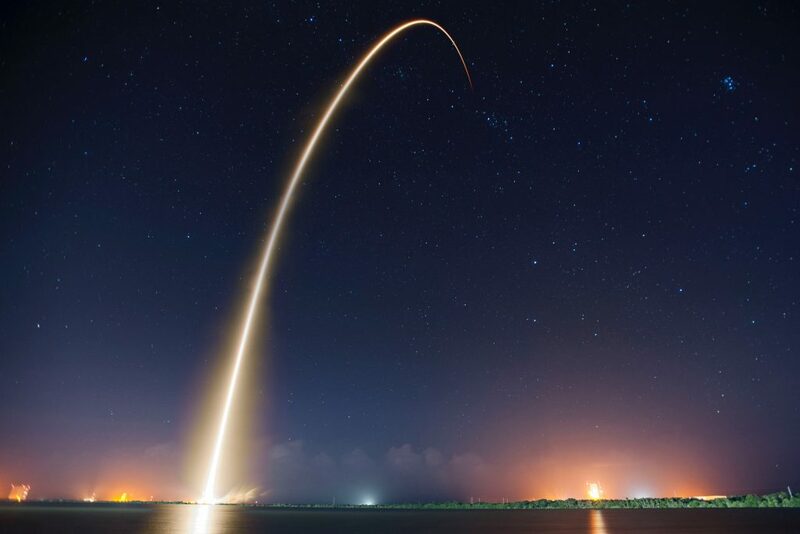 Growth hacking is intrinsically intertwined with product design, quality, and effectiveness, but there are some other, equally important, things. Many entrepreneurs focus primarily on creating a great product, and in an attempt to polish its every feature and fix every bug, they forget the first part of the equation somewhere along the way. Finding a good market. This is the key element without which no product, regardless of how amazing it might be won’t succeed. What’s a good market? Is it a market large enough for you to generate a demand for your product? Yes, but you need to be aware that sometimes it can be hard to stand out from your competitors with similar products. Let’s have an example. The evolution of AirBnB, initially conceived as a small, living-room based bed-and-breakfast for people who were attending tech and design conferences, into a service that allows people to book all kinds of lodgings, ranging from simple rooms to lavish castles, illustrates how constant improvements of the original idea helped by customer feedback, turned a desperate attempt to earn some extra cash into a $30-billion business. The company managed to survive and grow and take a large share of the market from hotels, inns, and regular B&Bs. On the other hand, picking a smaller market, or a profitable sub-niche can be another direction to pursue. While Coca-Cola and Pepsi control the soft drink market, Schweppes dominates a small but lucrative adult soft drink sub-niche it managed to carve for itself. In order to attract your target audience, you need to get to know and understand them better. It’s crucial to precisely determine their problems, pain points, and needs, and to come up with a solution that they will be satisfied with. Building buyer personas is one way of doing this. Connect with your potential customers, talk to them in person, visit trade shows, and take every opportunity to get their feedback. And voila, this is your first step towards determining product-market fit. The second step is polishing a unique selling proposition, a short summary that will condense what your product or service is all about, and make it stand out from your competitors’ offers. If we put this into a perspective of that Microsoft research which says that the average human attention span crumbled from 12 to 8 seconds over the period of 15 years, it’s clear that you have only a couple of seconds to grab your audience’s attention. “We’re number two. We try harder.” This legendary USP by Avis turned the company’s defeat into a victory. “Separating men from boys since 1783” is the central idea around which Schweppes builds its brand targeted at adults. So, what’s your silver bullet? The third step is building credibility. Many factors contribute to your stellar reputation and trustworthiness, but what you shouldn’t forget is the importance of emotional connection of customers with your business. And one of the best strategies for establishing credibility is storytelling. Or as Beth Comstock, former vice chair of EG, nicely put it, “You can’t sell anything if you can’t tell anything.” By creating a narrative that revolves around your customers’ needs, you subtly draw them closer to your brand. Again, you have to start by understanding your audience’s needs and interests in order to create a compelling brand story. The central point of your narrative should be WHY you are doing all this. This is not the part where you discuss your product or service’s features and benefits. Instead of that, tell your customers the reason behind your whole entrepreneurial journey, what problems you want to solve, and what your vision is. Nike perfected storytelling, and it took the ancient good vs. evil motif to a whole new level. There’s a twist in their story – the customer has to fight against no one other than themselves. By focusing on customers’ inner struggles and pushing boundaries, Nike paints a relatable picture of Everyman trying to step out of their comfort zone (and home) and hit the gym or go for a run instead of eating pizza in front of the TV. That idea strikes a chord with millions of people and communicates a message of understanding and motivation. This tactic can do wonders both for your customer acquisition and retention. It’s a very simple idea: offer an incentive to your existing customer in exchange for a referral. The best method to take advantage of this growth hacking trick is to use a two-way reward system which offers incentives to both the referrer and the person being referred. Not only will this strategy contribute to growing your customer base relatively quickly, but it’s also great for building customer loyalty and trust. Let’s see why it works. People rarely make a purchasing decision on the spur of the moment and upon seeing the product for the first time. A Nielsen study has shown that 83% of respondents in 60 countries say that they trust recommendations from friends and family members, which makes this kind of advertising the most credible one. Given this stat, it’s clear how powerful offering your customers some cash, a discount, or a free product if they refer your brand. This no-brainer tactic was crazily effective and lucrative for Dropbox, as the company got 4 million new users in 15 months, simply by giving free storage space to customers who referred their friends. Still, this isn’t the first that a company thrived with the help of referrals. Back in 2000, another tech behemoth grew from 1 million to 5 million users within several months, which can be translated into 7 to10% daily growth. The service at first paid people $20 to open an account, and $20 to refer a friend. The amount they spent on the legendary referral program was in the vicinity of $60 million, but this initial investment paid off very quickly, as eBay obtained PayPal in 2002 for a whopping $1.5 billion. Here’s how you can get the ball rolling. Pick some meaningful rewards. This is a tricky part as you have to find the right balance, especially if your budget is limited. Monetary incentives are cool, but they’re not the only ones that work. You can always offer your customers access to premium features, upgraded subscription packages, free products, or even branded promotional items. Check out how your competitors incentivize their customers and use their ideas. Spread the word. Make your referral program visible by showing it on your home page. It’s also a good idea to use a CTA with a referral program in your email signature. Make sure that your customer support reps all use this tactic because when they solve a problem, customers will be more likely to make a referral when they’re satisfied. Blog posts are excellent for promoting your referral programs, as well as social media channels. Finally, there’s no better moment to offer a referral program than when you’re sending an invoice. This psychological trick will sugarcoat the billing process, and prompt your customers to take advantage of the incentives. Optimize referral templates. Filling out long forms or a complicated sign-up process are proven conversion killers. The same rule applies to your referral program templates. Reduce friction by populating email and social media templates so that your customers can easily share them. A single sign-on option will reduce the abandonment rate significantly. Don’t use slow-moving merch. This is a big no-no. Sometimes companies use products that aren’t particularly popular in their referral programs. While there’s nothing wrong in promoting products that aren’t exactly your best sellers, just don’t use your referral as a piggybacking method. Test and analyze. Having an insight into the numbers and figures is essential for fine-tuning your referral program. If it’s not effective, change your copy, design, and CTAs. Similarly, as your business grows, make sure to offer a referral program which keeps pace with its development. As the growth speed is one of the crucial factors of successful growth hacking, automating your existing technology is essential. This will save you a lot of time and money, as the sales and marketing processes are full of repetitive, tedious tasks that still have to be completed. That’s where various automation tools come in and pick up the slack, enabling entrepreneurs, marketers, and salespeople focus on more creative aspects of their work. Managing social media platforms is usually a full-time job, but while certain tasks have to be completed in real time, there are a lot of things that can be automated. Social media automation tools, which allow automation workflow and scheduling social media posts on various channels will amplify your efforts and reduce the time you spend sharing and posting content. Buffer is a great addition to any social marketer’s arsenal. This intuitive, easy-to-use tool allows you to schedule your social media posts on various social media platforms. Since it’s really hard to keep track of everything you post on your Facebook, Twitter, LinkedIn, or Instagram, especially when you run more than one account, Buffer helps you by monitoring your posts and alerting you if you have already posted the same tweet or blog post recently. Apart from posting at optimal times, Buffer provides you with detailed analytics and shows you how each of your posts performed. Since social media marketing has become an indispensable part of any successful marketing strategy, posting content on a regular basis is extremely important for engaging your target audience and keeping in touch with them. Sales automation tools are still not prevalent among the majority of businesses, which is a pity as, research studies have shown that early adopters of the SFA technology reported that their deals increased in size by 27%, their sales cycles decreased by 16%, while their customers’ revenue went up by 26%, and their sales administrative time was reduced by 14%. 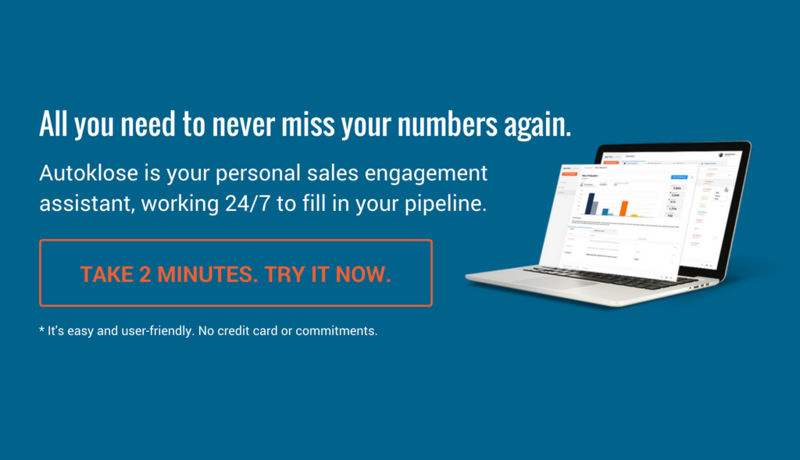 Autoklose, a new sales automation platform, takes over and automate time-consuming tasks such as scheduling sales appointments, email follow-up efforts, keeping track of contacts, and updating sales opportunities. Improving customer service is achieved by compiling data and information about every customer, thus minimizing the risk of customer dissatisfaction. Basically, this tool puts automated lead generation, marketing efforts, customer support, and other sales and marketing related activities under one roof, and allow a centralized insight into all activities. It’s worth mentioning that companies with poor sales and marketing alignment suffer from lots of missed sales opportunities, as their marketing teams send unqualified leads that are not sales-ready to their sales teams, and this problem can be easily eliminated by switching to sales automation. In other words, companies with good smarketing practices generate 208% more revenue from their marketing efforts. Streamlining your team communication is tremendously important, especially if you have remote employees. Since all of us have some preferred apps and IMs that we use, communication can turn into a chaotic stream of messages various mediums, which makes it virtually impossible to find out who said what, where, and when. Slack is a team collaboration platform which centralizes your communication. You can create various channels, add and remove members, share files, and what’s even more important, easily find all the answers you need in a searchable archive of all the conversations your team ever had. No matter what industry you’re in, content marketing and SEO are strategies that have the potential to drive tons of traffic to your website, and subsequently, turn all these visitors into paying customers. BuzzSumo can supercharge your content marketing efforts and show you a direction in which to go with your blog posts by identifying the best performing content and influencers in any industry. This way, you will be able to study the examples and create superb, or even viral, content. Getting in touch with the major influencers from your niche and engaging with them can open you the door to a much larger audience consisting of high-quality leads, interested in what you have to offer. Psychologically speaking, people are very susceptible to the fear of missing out. FOMO isn’t just a buzzword that you can read on marketing blogs, but a real phenomenon experienced by many people. Everybody wants to be part of the in-crowd, lay hands of a cool gadget, and, of course, share their good fortune on the social media channels. According to a recent study, FOMO can significantly influence purchasing behavior, and 68% of Canadian Millennials admitted that they made a reactionary purchase within 24 hours after seeing someone else’s experience. Many companies benefit from this psychological mechanism by leveraging various limited-time promotions or displaying ads with the famous “just one more item left in stock” phrase. When a product is perceived as scarce and about-to-become unavailable, its desirability soars. Back in 2004, when Google launched its emailing service, Gmail, the tech giant still couldn’t compete with Hotmail and Yahoo, which ruled the search engine and emailing scene then. Since it had only had limited server space, Google decided to play the card of scarcity and turn its offer into something exclusive – only 1,000 opinion makers were given early access and they could refer their friends. This way, the company used its downside to create a hot commodity and put people who got access to the service under the impression that they were members of an elite club. A timer counting down hours and minutes until the end of your discount or promotion will definitely urge your customers to make their purchasing decision quickly. It’s not enough to put the “limited time offer” banner next to your product. The timer visually demonstrates how quickly the time passes, and unlike the rest of the content on your page, it’s not static but animated, and this very characteristic will capture your customers’ attention. This trick can be used even when you don’t offer a discount. People are very impatient when they’re expecting a delivery, so, using a timer to show how much time there is to place an order that will be delivered the following day is an excellent psychological trick that will give that final little push towards clicking the buy button. Negativity is another highly effective urgency trigger. Many salespeople try to avoid mentioning unpleasant situations in their sales pitch, and that’s a big mistake. By talking about your customers’ pain points directly, and focusing on how your products or services can help them, you will create a strong emotional response. This can be achieved through the use of particular words (or images) associated with unpleasant things such as flood, fire, headache, weight problem, or anything else that you can help your customers with. Once you address a problem, make sure to offer a pain relief immediately. You don’t want your customers to suffer; you just want them to know that you can efficiently alleviate their pain point. So, don’t dwell too much on the unpleasant thing, but quickly introduce a solution – insurance, painkillers, or dietary supplements. As we have already mentioned, people rarely make a purchasing decision the first time they see a product ad. They need to learn more about its features and benefits before they pull out their credit cards. Still, if they have visited your website or landing page, they clearly showed an interest in your product or service. According to statistics, only 2% of people who visit your website convert on their first visit. The fact that they bounced without converting shouldn’t concern you too much because unlike bricks-and-mortar businesses, you have an opportunity to track them, follow them while they browse the internet, and display them your ads until you finally convince them to make a purchase. By installing the retargeting pixel, which is actually a small piece of code on your website, you will be able to reach your visitors and subtly but persistently expose them to your ads. To make sure that you’re reaching out only to people who are interested in your content, it’s a good idea to set the retargeting pixel to start following visitors who spend more than 45 seconds on your website. First of all, it’s important to highlight the plural in the headline. The importance of landers can’t be stressed enough, and there’s a rule to follow when it comes to them – the more, the merrier. Relevant data backs this statement up, meaning that companies with more than 40 landing pages score 12 times more leads than those with 5 or less. However, the opposite applies when we’re talking about the amount of information on your landing page. First of all, a high-converting landing page has to be focused only on one offer and providing essential information about it. If we examine landing pages of some of the most popular companies such as Facebook, Twitter, or Quora, we can see that they’re completely free from any redundant things, and a visitor has only one decision to make. The main elements on your landing page have to be a unique selling proposition and a CTA. We’ve already discussed the importance of a USP, and it all applies here. When it comes to a call-to-action, the first thing you should do is put it above the fold. That way, your visitors won’t miss it. It’s also a good idea to repeat it below the fold. Coming up with the right copy is also challenging, which is why A/B testing is a must. Try to keep it short and sweet, and say everything in no more than five words. The first word should be an action verb such as buy, download, register, grow, build, or join. Many landing pages use a psychological trick – in order to continue viewing the content, you need to click on the CTA button and accept their offer, or click on a phrase such as “No, I don’t want to grow my business” or “No, I don’t want more traffic”. As we have already mentioned, leveraging negativity can be pretty powerful in marketing. A complimentary color, that is the one that is opposite to the dominant color of the background. Finally, make your CTA prominent and conspicuous on the landing page. One of the worst things that you can do is clutter up your landing page with all your product’s features and benefits. Refrain from this practice, and mention only the most important ones, to increase readability and allow your visitors to process the information more easily. Instead of driving your paid traffic to a home page, it’s a better idea to direct it to a dedicated landing page. The same goes for your 404 page, which should be turned into a landing page with a valuable offer, and a CTA used for collecting data. A poorly optimized checkout process that is too complicated or that offers few payment methods can be blamed for the fact that almost 70% online purchases end up with shopping cart abandonment. Financially speaking, this means that companies lose $4.9 trillion globally. In order to streamline the purchasing process, you need to remove all potential obstacles and help your customers make a decision to buy something from you. Many people are reluctant to finalize their purchase if there’s no return policy, so make sure to enable your customers to return merchandise. A liberal return policy will not only give your customers a final nudge towards clicking that “Buy” button, but it will also cement their loyalty. A psychological moment of being able to try a product and being able to get a full refund in case that a customer isn’t satisfied with it is particularly important in the world of online shopping because it in a way overcomes that lack of the touch-feel-try moment and reduces the perceived risk of making a bad decision that can’t be fixed. Free shipping is another factor that highly influences making a purchasing decision, and even 9 out of 10 people say that it could make them shop online more often. Non-transparent and hidden costs are responsible for 23% of abandoned shopping carts, so if you want to boost your sales, optimize this part of the checkout process too by showing the final price. Multiple payment and shipping options are of critical importance when your customers’ are finalizing their purchase. This will improve their experience with your company and increase retention. Apart from accepting credit cards, PayPal, and other payment gateways make sure to optimize your website for mobile payments. Many people find it very convenient to make a purchase from their mobile device, so make sure to capitalize on this trend. Sometimes people forget to put something they want in the shopping cart, and the idea of hitting the back button, going back to square one, and having to go through the whole process again is extremely annoying. That’s why enabling the option to continue shopping from the checkout page will save them a lot of time, and save you from high churn rates. You don’t have to be a growth hacking expert to implement these tactics and crush your sales goals. Although it’s a good idea to hire a professional agency to help you grow your business, you can fine-tune certain things with the help of your team, and without having to spend big bucks.